We were approached by Interiors with Art, a London based design and construction company as they were looking to incorporate a lift into one of their projects in Mayfair. We attended site to measure and provide a quotation for a small passenger lift that could service all 4 floors of the house. As with many of the Victorian townhouses found in the Mayfair area this building had been split into flats. Mayfair is an affluent area of West London and is situated just to the East of Hyde Park and West of the City of London. 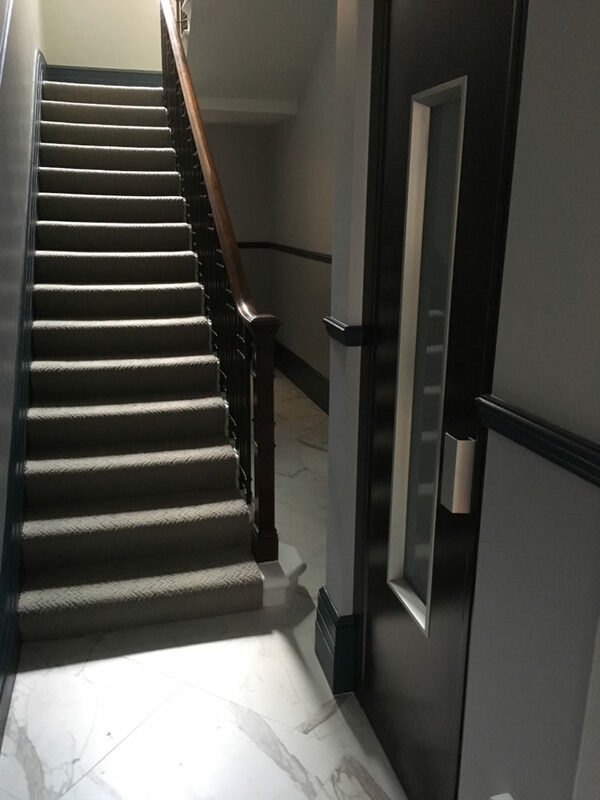 Lifts in townhouses in the Mayfair and Park Lane area are becoming more and more common as building and flat owners are looking to future proof their properties and our client was no different. In the current market, a building without a lift can be the reason a flat doesn't sell at the asking price or even sell at all. The architect wanted the small passenger lift to fit into the space that had been left behind after the dumbwaiter was removed. The lift would also have to have adjacent entries therefore would limit the interior cabin dimensions even more. 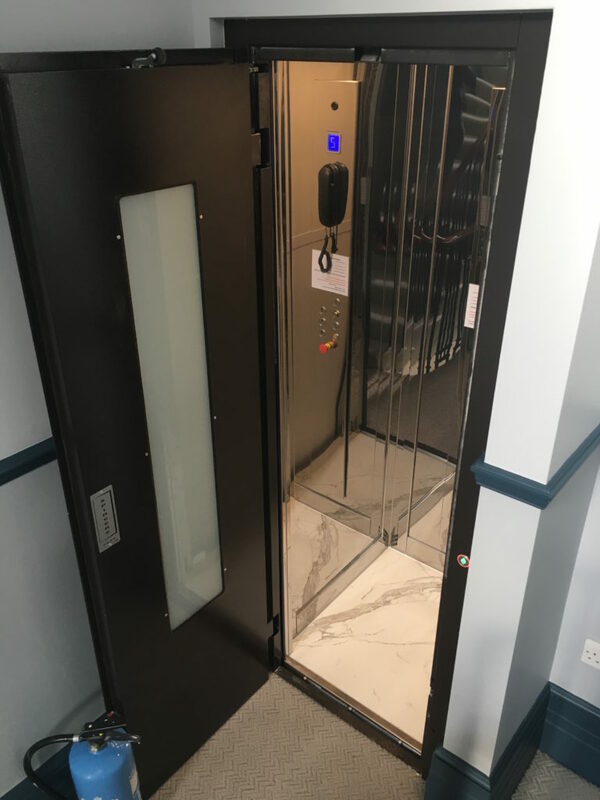 The lift's interior measures 630 mm x 725 mm with photocells placed on the two sides of entry - this was to maximise the space inside the lift for the client. The total travel of the lift is over 10 metres across 4 floors and the maximum load of the lift is 300kg. The lift has 600mm wide swing landing doors with opaque glass windows and finished in the client's chosen RAL colour. The lift's interior was finished in polished stainless steel giving the feel that the lift was much larger than it actually was. The floor of the lift was fitted with the same marble tiling as the ground floor so there was a seamless transition from hallway to lift. 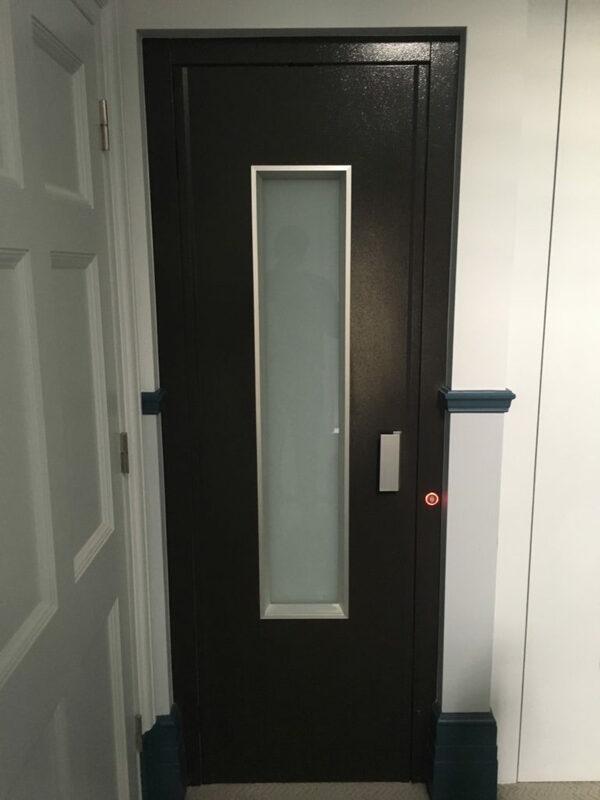 To see more of our lifts in small spaces then click on the following projects in Newbury, Westbourne, and to see an example of our work in flats click on our Seadown project. Posted in Home & Garden, Projects and tagged lifts in flats, lifts in london.